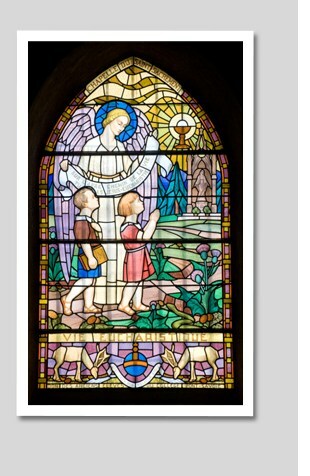 St. Louis Catholic School is a tuition-based school dedicated to providing preschool – 8th grade students with an outstanding secular and religious education. Our academic programs are first-rate, taught by highly qualified, devoted teachers who are dedicated to their professions and to the students they serve. Under the caring guidance of teachers and support staff members, students at St. Louis School discover the joys of learning and of living lives of faith and love. We are free to openly teach Catholic doctrine and participate in Catholic services such as mass, communion, and special feast-day celebrations. Students have an opportunity not only to study Catholic doctrine but also to live it every day as they interact with peers and teachers and participate in extracurricular activities such as athletics, band, chorus, and student council. We live in a time of shifting values and mixed messages. At St. Louis School, we understand the vital need to give children spiritual and intellectual guidance—to help them gain a sense of clarity about who they are and what God expects of them. From preschool to 8th grade, we’re preparing our students for high school and for future roles in family and the community by helping them build a foundation both of knowledge and of faith. In a world where children are often confused about how they fit into the big picture, we find joy in teaching our students to live for Jesus, love others, and learn. If you feel our school’s mission and philosophy fit with your family’s educational and spiritual values, we invite you to visit our Registration page, where you can learn more about the steps you’ll need to take to enroll your child at St. Louis School. St. Louis School, dedicated to the teachings of Jesus Christ, combines excellence in academics with a strong Roman Catholic background, providing the foundation to develop the whole person and to challenge students to reach their potential.